It seem that Apple [AAPL} doesnt just want to sell everyone a new iPhone 4, they also want to sell you a case for it, as they announced the launch of Bumpers for iPhone 4. Bumpers for iPhone 4 are basically a case designed to fit over the aluminum side part of the iPhone 4, and they will be available in a range of colors, and will go on sale with the iPhone 4 on the 24th of June 2010. 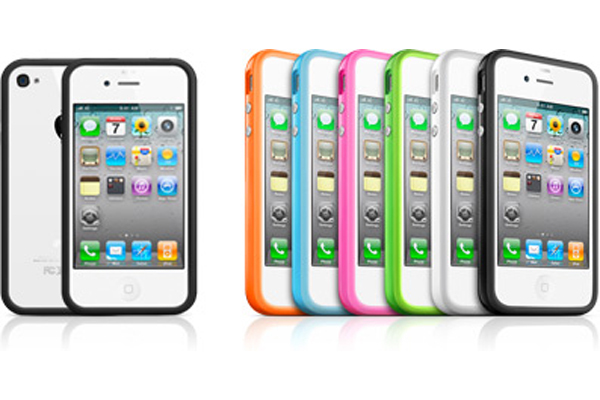 There are no details as yet on how much these new Bumpers for iPhone 4 cases will retail for. Make sure you check out our Apple iPhone 4 UK Buyers Guide.